Will a Prescription Monitoring Program Help Combat Addiction? Up until recently, doctors had no reliable way of knowing what controlled substance medication patients were filling and if the patient was “doctor shopping”. 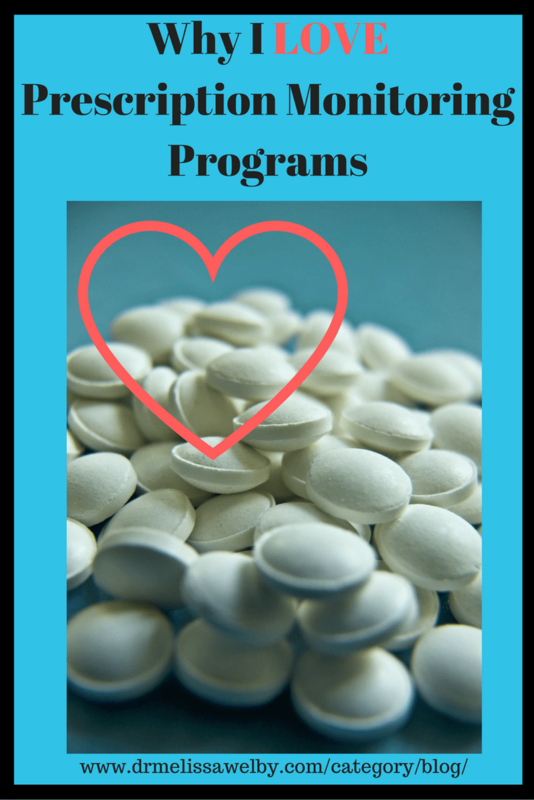 Diverted prescription medications flowed into communities contributing to the problem of prescription medication abuse. 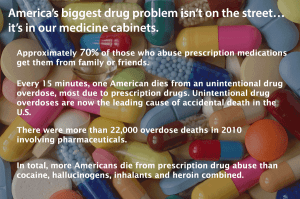 The DEA has estimated that prescription drug diversion is a $25 billion-a-year industry! 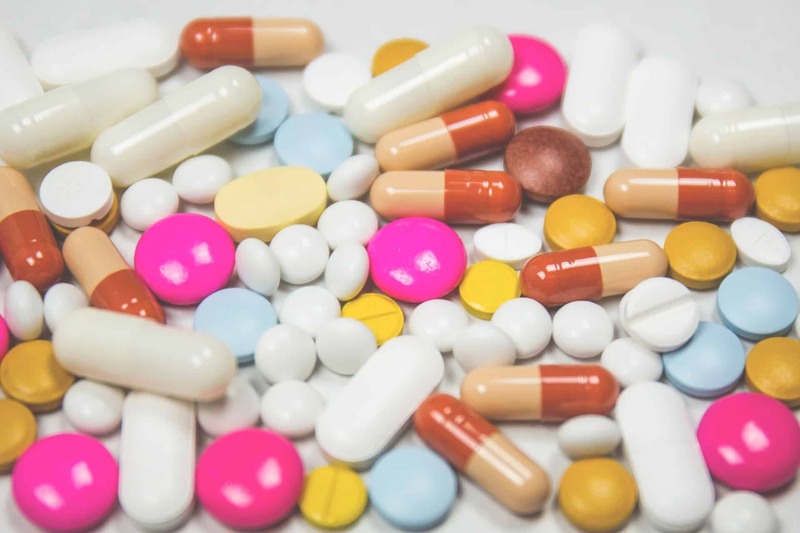 Prescription monitoring programs are one way to help curb the diversion of controlled substances and identify patients who may be struggling with a substance use disorder or at risk for overdose. See the end of this post for 2 effective ways YOU can help prevent prescription medication abuse! ALL controlled substances are logged into the prescription drug monitoring program for physicians and pharmacists to check. It doesn’t matter if the patient pays cash because it will still be entered. Many states have passed laws mandating physicians check the database before prescribing to a new patient, and at regular intervals, for the remainder of time a patient is in treatment. These databases and mandates are an unfortunate necessity. I’m not an advocate for increasing the paperwork burden for physicians. We are already drowning in paperwork that does nothing to improve patient care and takes away from our ability to actually help patients. However, this database is great! I’m even generally a fan of the legislation requiring physicians to check the database. These mandates increase physician awareness of the database and increase the chance that physicians check it. may be at risk for an overdose. These programs can help keep our patients and communities safer and identify patients that need additional treatment. Research from various organizations also points to promising results. In Florida, deaths related to oxycodone overdose dropped 25% after Florida implemented its PDMP in late 2011, according to a team of University of Florida Health researchers. New York experienced a 75% decrease in prescriptions issued through “doctor shopping” as a result of a 2012 requirement that prescribers check the PDMP before writing a prescription, according to the PDMP Center of Excellence at Brandeis University. Also according to the PDMP Center of Excellence, 74% of California physicians reportedly changed their prescribing practice as a result of patient activity reports created using the state’s PDMP. Give thanks to the opiate crisis? Look no further than the opiate crises in America to see why these systems are needed and long overdue. “Thanks” in part to this crisis (absolutely nothing good has come out of the opiate crisis except possibly this?) states have been pushed into investing money into creating and implementing these databases. States have been forced to communicate with other states and change laws so data can be shared between states (this is still a work in progress in many states). more than 3 out of 4 people who misuse prescription painkillers use drugs prescribed to someone else. and the rest got them from a drug dealer or stole them. Nearly 3 out of 4 prescription drug overdoses are caused by prescription painkillers. This is obviously a huge problem! I am not a mind-reader! I can’t speak for all physicians, but I am not a mind-reader. I know some people mistake psychiatrists for this but, unfortunately, I do not have this skill. Boy, would my job be easy (and likely quite boring) if I could read minds. If people want to lie to me, and they are good at it, I won’t know they aren’t telling the truth. 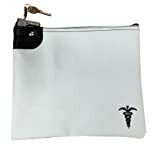 “Doctor shopping” is a practice when patients go to multiple different doctors at the same time, often to obtain prescriptions for controlled substances. There are various reasons for “doctor shopping” but often the person suffers from an addiction or they are selling the medication. I was surprised to find out there is actually a good amount of research and a lot of articles written about doctor shopping! Here is a good summary found from the National Institute of Health. Prior to prescription monitoring programs, if someone came to see me and didn’t disclose that they were seeing other physicians, I would have no idea. Sometimes an astute pharmacist would notice and alert me that someone was filling the same medication from another doctor. But there were ways to avoid discovery. In order to avoid identification patients would fill medication at multiple different pharmacies. This way, the pharmacists wouldn’t notice. Also, in order to avoid attention, people could pay cash for their medication so they didn’t submit too many claims through insurance. Patient X was someone I was treating for ADHD and prescribing stimulants. This patient had psychological testing done and brought paperwork corroborating the diagnosis. I did my own assessment of this patient’s history and current symptoms. This person met criteria for ADHD and had benefitted from medication in the past. There was no reported history of substance abuse in the patient or the family. I had absolutely no suspicion that this person was diverting or abusing the medication. They never filled the scripts early, never had any lost or stolen scripts, they came to all appointments, and the story was completely consistent with the diagnosis. One day, this person sent out a group email giving notice of a change to their contact information. I noticed on the list of email recipients that at least 15 emails were identified as a doctor. Why would a healthy person with no medical problems have such a long list of doctors? I started looking up the names and locations of these physicians. At the time I was seeing this patient, prescription monitoring (at least in CT) was in its infancy. There was at least a 3 month lag of prescriptions being entered into the system and not all prescriptions were entered. Some people had no records in the system even when I knew they were filling a controlled substance. When prescription monitoring programs started, many pharmacies were not equipped with technology that allowed pharmacists to enter this information. When I asked several pharmacists why medications that were being filled at their pharmacies weren’t in the system I heard stories of pharmacists having to bring in their personal computers to stores without accessible technology and even having to manually enter the data on their own time after shifts. It is clear why this was an inefficient and incomplete databank for the initial years. I was eventually able to trace the history of where this patient’s prescriptions were being filled in CT and from whom. I found out this person was currently seeing over 10 doctors in CT alone! I knew from the email list that several of the doctors were located in neighboring states but at that time we couldn’t get prescription data from other states (luckily now we can). In prescriptions from CT alone, this patient was filling enough stimulant medication to sell to an entire college campus (I’m joking, but it was seriously a lot of medication). I was unknowingly participating in a system where I had become the “drug supplier” to the (presumed) “drug dealer”. When I found out what was happening, I called all the pharmacies where the patient was filling my (and other doctors) prescriptions. These pharmacies then put an alert in their system and were able to notify all the other unaware doctors about the issue. I also called the patient and offered to get them into treatment. 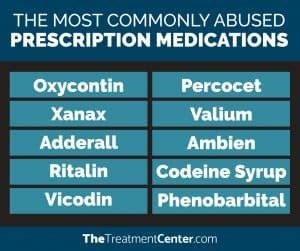 Obviously, if they were taking all this medication themselves they needed inpatient help for their addiction. Unfortunately, I was never able to reach this person and had to close their case without being able to help. Total side rant: How does the physician feel when this happens? Often the public (or even other physicians), when hearing the news that medication from prescriptions is a major source of the supply chain for abused medications, react with disdain and think “Who are these doctors? They must be unscrupulous, money-hungry doctors not doing a good job! They are just licensed drug dealers!”. Well, I can tell you, that there are definitely doctors out there who are like this. However, the majority of cases are situations similar to mine, where there was just no way to know the truth. You may (or may not) be wondering how doctors feel when this happens. Shocked. I think my mouth may have even dropped open! Angry that someone would take advantage of me in that way (yes, I know that’s so naive). Hurt to be lied to so maliciously and systematically. Worried about the patient- Could they possibly be taking this much medication? They are going to die! Worried about all the people that were being sold this medication. Had it harmed anyone? Sad, defeated, and burned out– situations like this can really set physicians back if they don’t take care of themselves. A doctor could get really cynical about his or her ability to help people and no longer want to do the work. I love my job! But when this happened I felt defeated. I questioned what I was doing, how I was doing it, and if I was really helping people. 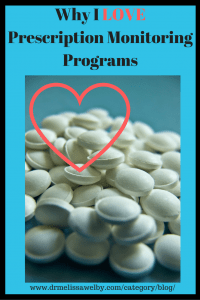 What is the prescription monitoring program like now? Over the years, these systems have continued to improve to be more sophisticated and user-friendly. In CT, all controlled substances are reliably entered and displayed in real time. I can pull up someone’s record and know what is being filled now instead of 3-6 months ago. As long as I look, I can always be up-to-date. Some electronic medical record (EMR) systems can access the data without having to leave the EMR and then easily upload it to the patient’s chart. With this being said, each state is left to create their own monitoring program and all programs are not equal. Although I’m generally in favor of mandates requiring the use of prescription monitoring programs, there are problems with this, especially in states that have not developed a user-friendly and sophisticated database. Obviously, it is going to take more than prescription monitoring programs to combat addiction. But the effectiveness of this database cannot be overlooked. Doctors are given concrete data about what is happening with their patients and can use that data to help patients. The earlier we can identify people that may need help the better and this is one tool to help us do that. I think it’s possible that the knowledge these databases exist may provide a deterrent against doctor shopping and prescription abuse. If patients know doctors can see what they are filling they may stop and think twice before getting the exact same prescription from multiple doctors. What do you think of prescription drug monitoring programs? 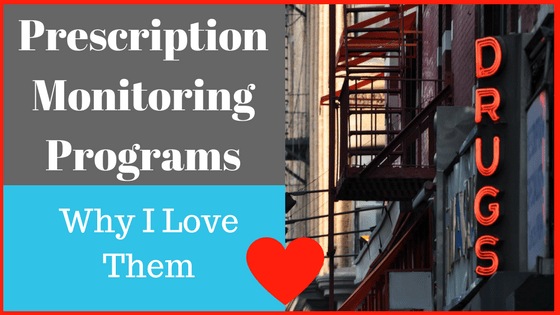 What do you think about these monitoring programs? Does it feel like “big brother” watching you and an invasion of your privacy? For pharmacists and physicians, what has been your experience using them in your state? How sophisticated are your programs? Do you have state laws mandating the use of monitoring? How do you incorporate this into your work-flow? What more (or less) would you like to see these databases do? If you are looking for more information related to addiction check out my previous posts on Alcohol Use Disorder (Do you have it? ), Are you at risk for alcohol withdrawal?, and about Naloxone: The medication that can save a life in an opiate overdose. Don’t forget to clean out your medicine cabinets! Some towns have medication take-back days where you drive by and put your unused medication in the collection kit. Many police stations also have anonymous medication drop off. No questions asked! If you are throwing medication in the trash, mix it with cat litter or coffee grounds. Visit the FDA for additional tips on safe disposal of your extra medication. 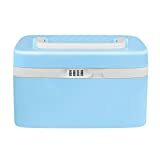 Get a medication box to lock up your medication. These will help keep your medication safe from children or function as a deterrent to diversion. I don’t think any of the options are perfect but the more cumbersome the boxes are the less chance they will get used. An imperfect box that gets used is better than no box at all! If you are childproofing, I find the plastic box with a combo lock works great. This way I don’t have to search for a key to open it. (I may have gone overboard with buying these medication boxes. I actually have 8 of these! In addition to medication, I have taken to locking things like sharpies, nail polish, and scissors after one too many self-done haircuts, spilled nail polish, or sharpie wall decorating). 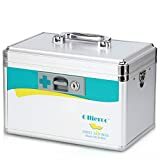 If you are in a situation where your medication will be exposed to someone who struggles with addiction I recommend getting a more sturdy box that can’t be smashed. When traveling, I like the locking bag. It is sturdy and feels secure. It’s big enough to fit a few bottles but isn’t bulky. For resources related to addictions visit my Resources Page or my Mental Health Bookstore.